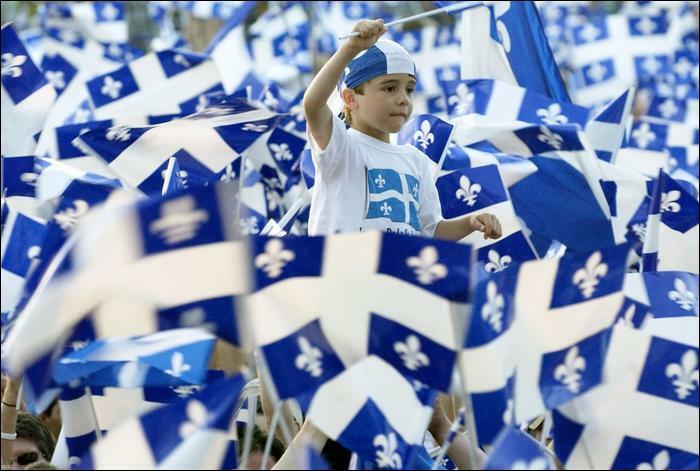 Is The PQ’s Secular Charter A Vote-Winner? “Québec’s proposed ban on the wearing of religious symbols has drawn criticism from across the country, but a new poll suggests it has strong support in the province. The measures designed by the minority Parti Québécois government to underscore Québec’s secular nature may also now have the political support necessary to pass the legislation into law in the coming months. The so-called charter of Québec values, to be unveiled in the coming weeks, proposes barring public servants from wearing veils, kippas, turbans and even crucifixes while at work. A leaked report last week said the measures would apply to anyone who draws their salary from the public purse: bureaucrats, lawyers, police officers, teachers, and even doctor and nurses. …the PQ plan got a boost Monday with the results of an opinion poll showing that two out of every three respondents believed there are “too many accommodations” for religious groups in Québec. A majority of French-speakers surveyed said they backed the ban while a majority of anglophones and allophones, whose mother tongue is neither French nor English, were strongly opposed to the proposed measures. However those figures are hardly decisive with just 57% of Québec voters supporting the concept. On the other hand 65% of Francophones and 25% of Anglophones approve of the plan. I still think this is a bad idea. Regulating items like turbans and crucifixes seems awfully heavy handed. A couple of instances where an older worker is reprimanded or fired for such an offense will generate significant bad publicity, and rightly so. Absolutely. I’m a convinced atheist and secularist myself but these proposed laws are ridiculously petty and authoritarian. Where is the right to individual expression in this? Its not as if the public officials are actively proselytizing or discriminating on behalf of their faiths. We are individuals and the idea that we can totally separate someone from their personal cultural baggage is ridiculous. We are not automatons.